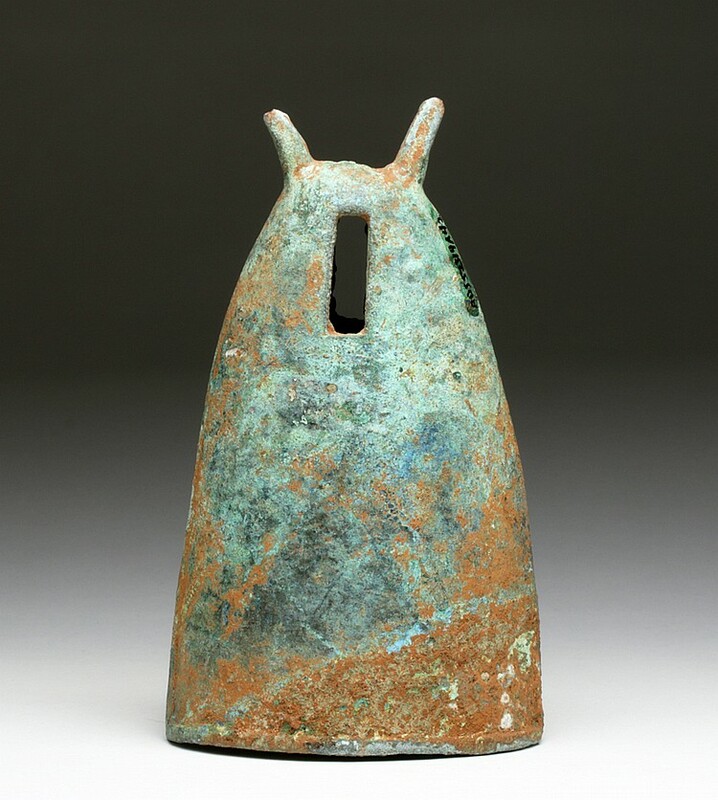 Miniature Dong Son Bronze Bull’s Head Bell, Viet Nam or Cambodia, Ca 1st millennium BCE. Estimate $300 – $500. Photo Artemis Gallery. 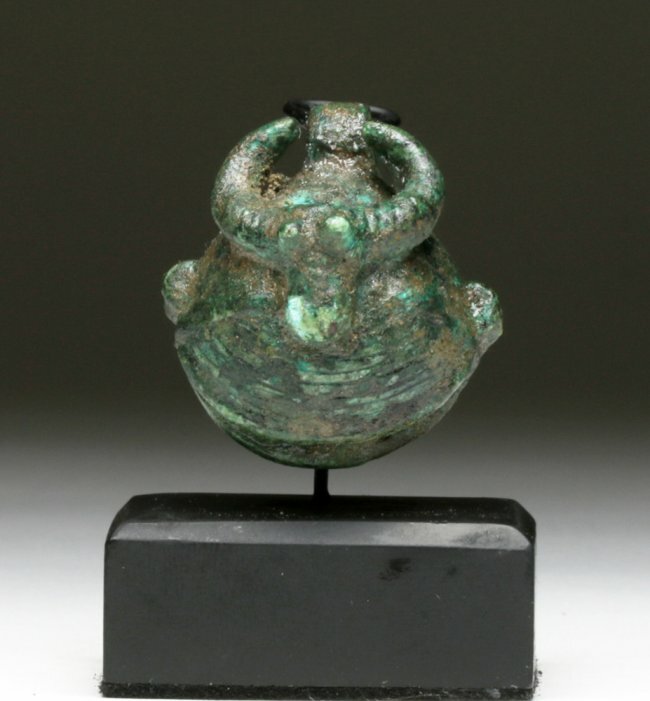 Small cast bronze bell with bull’s head and horns in relief, large bale and suspension loops on each side; horizontal lines as added decoration. Size: 1-3/4″H. 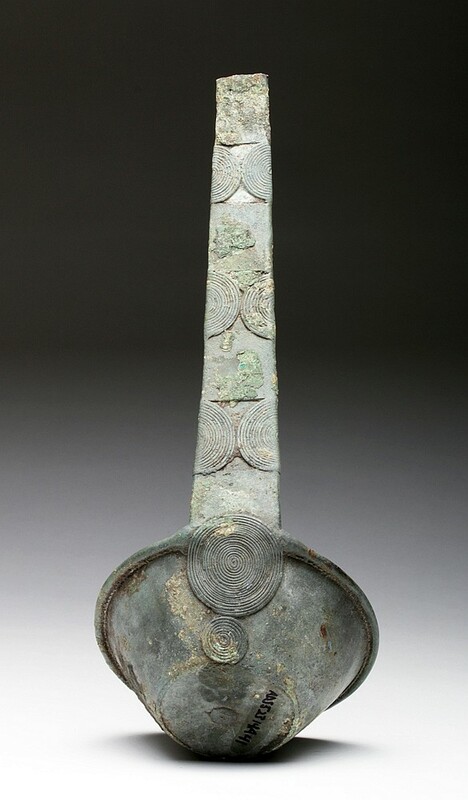 Bronze Ladle, Viet Nam, Dong Son culture, ca. 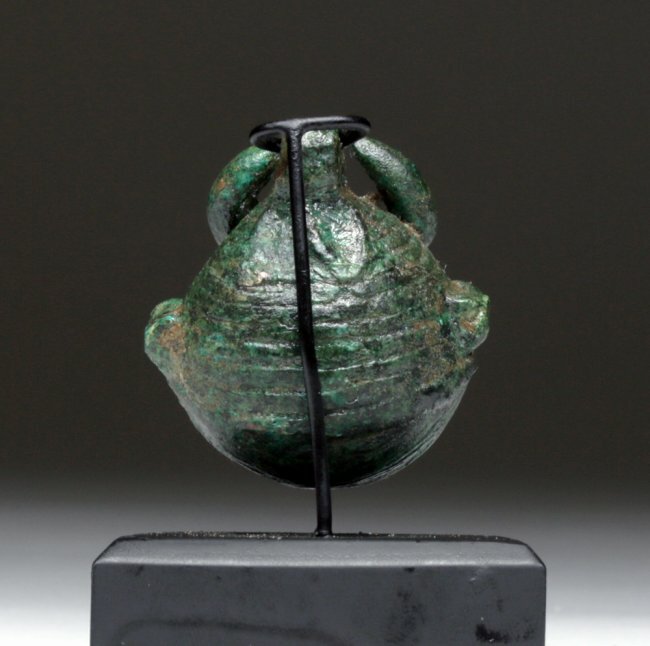 2500 BCE. Estimated Price: $400 – $800. Photo Artemis Gallery. 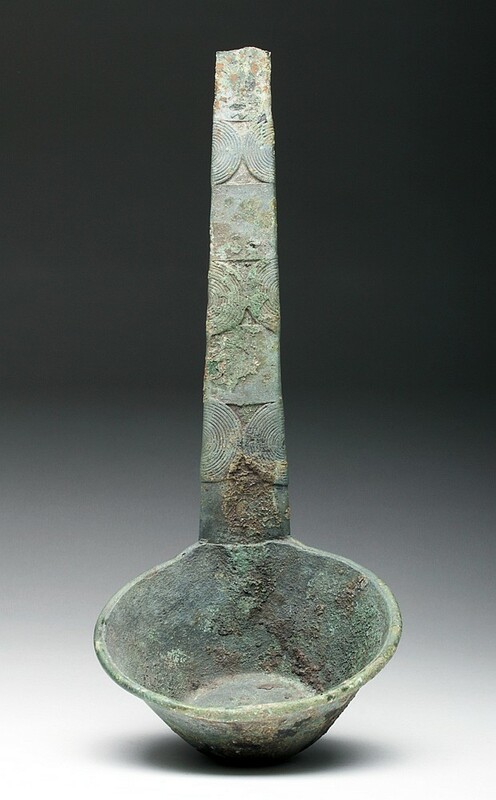 Stunning bronze cast ladle, handle adorned with three pairs of scrolled circular motifs that wrap from front to back. As we make our way down the back of the handle to the cup-form, a larger spiraled circle is applied where handle and cup meet followed by a smaller one, and finally a tiny one on the underside of the base. 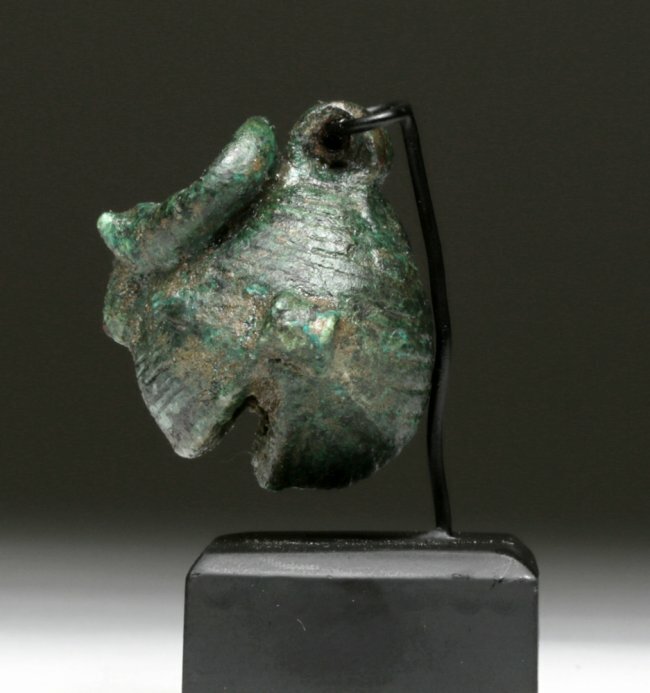 An exquisite composition from this Bronze Age culture! Size: ~10″L (25.5 cm) . Provenance: Ex-private D. Smith Collection, southern California, acquired before 1985. 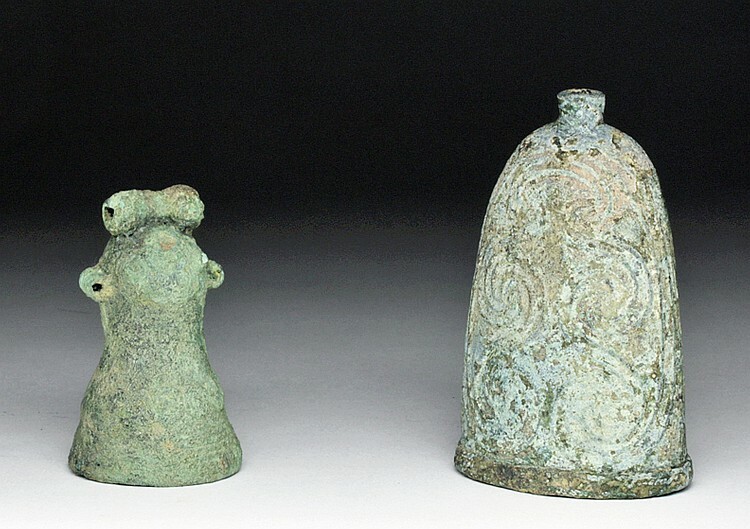 Lot of 2 Bronze Cast Bells, Vietnam, Anamese, Ca. 500 BCE. Estimated Price: $300 – $400. Photo Artemis Gallery. 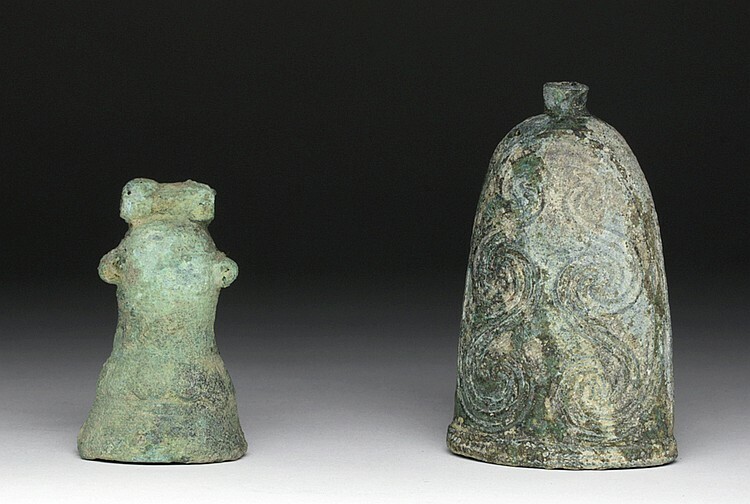 A handsome pair of bronze cast bells from the Anamese culture of ancient Vietnam. 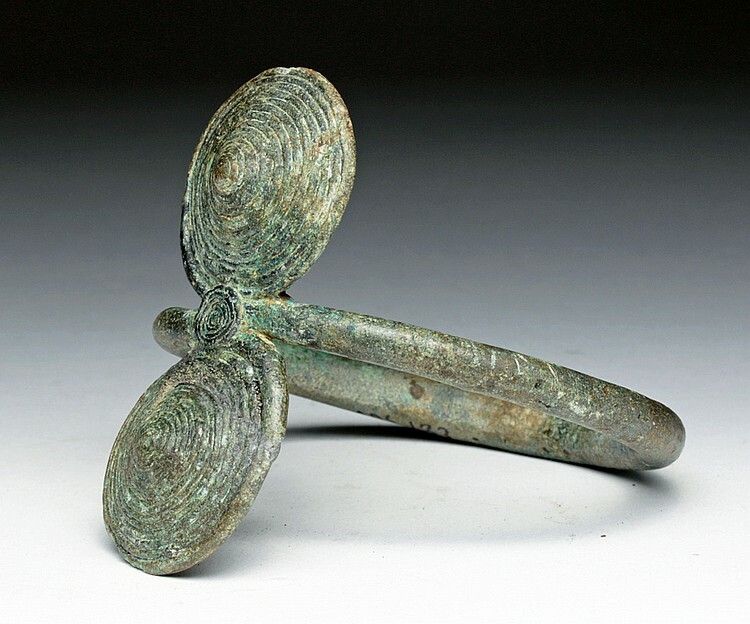 The larger example was cast in a narrow high-arch shape and features a sinuous, spiraled Lei Win water symbol on both its front and back sides. 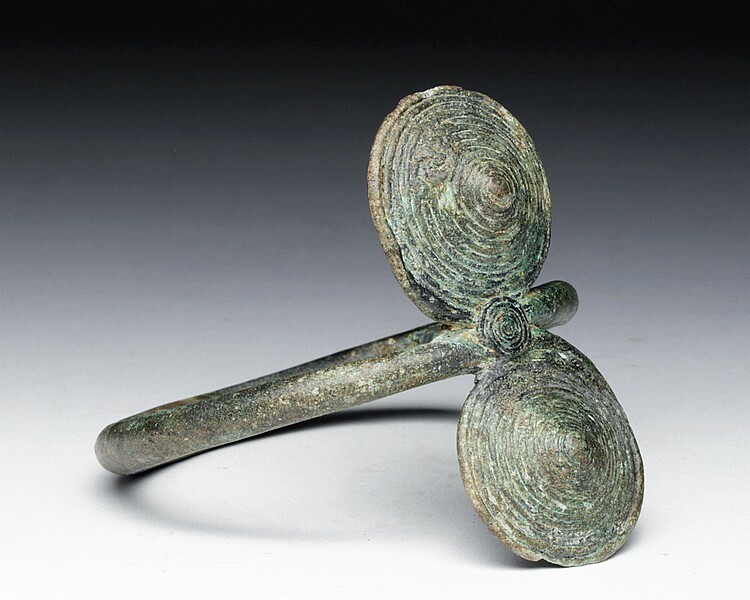 An attractive artifact that displays expert casting technique. 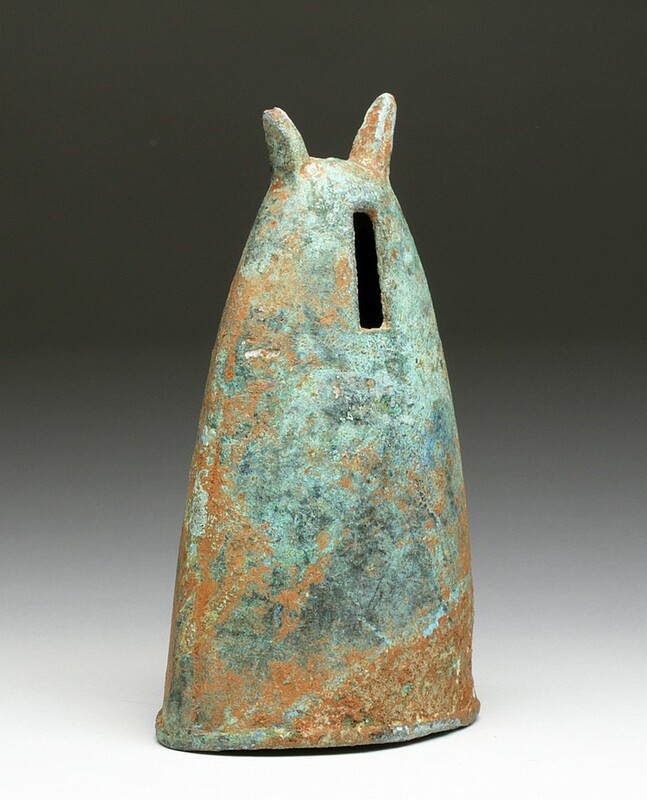 Size: 3-1/4″ tall x 2″W at widest point. 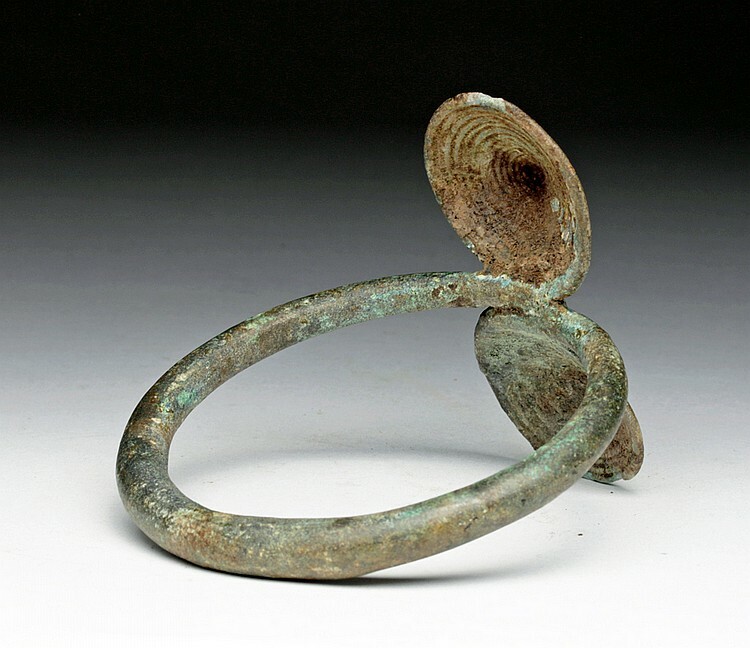 The smaller example possesses an hourglass shape with linear and spiraled patterns adorning its surface. Perforations through cylindrical form atop for suspension. Smaller perforations on sides are blocked. 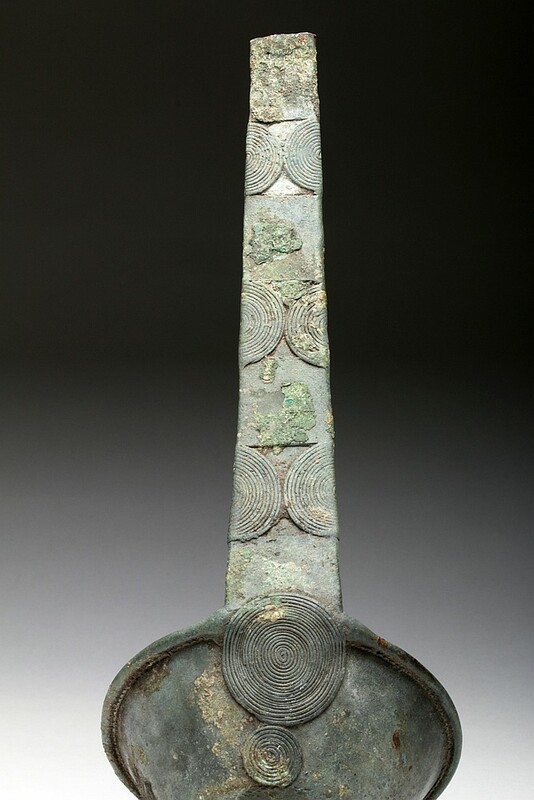 A beautiful example that also attests to the undeniable skill of the Anamese. Size: 2-3/8″ tall x 1- 1/2″ wide at widest point. 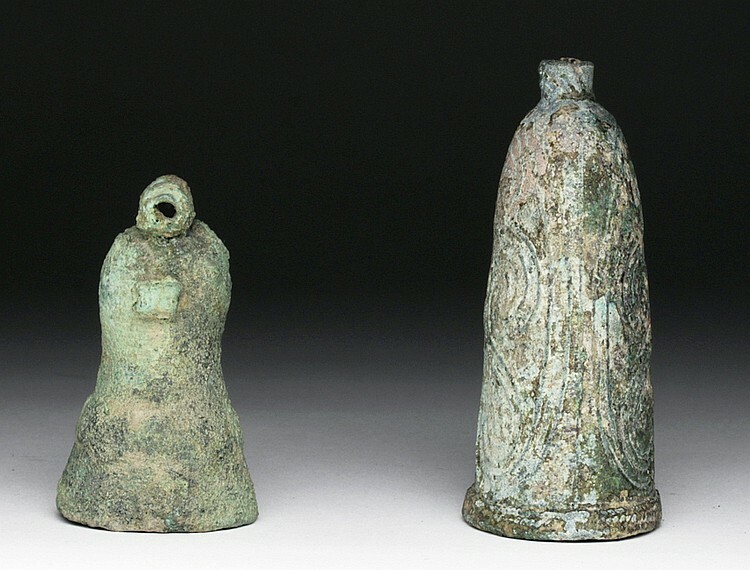 Both show surface wear and areas of encrustation (particularly to the interior of bells). 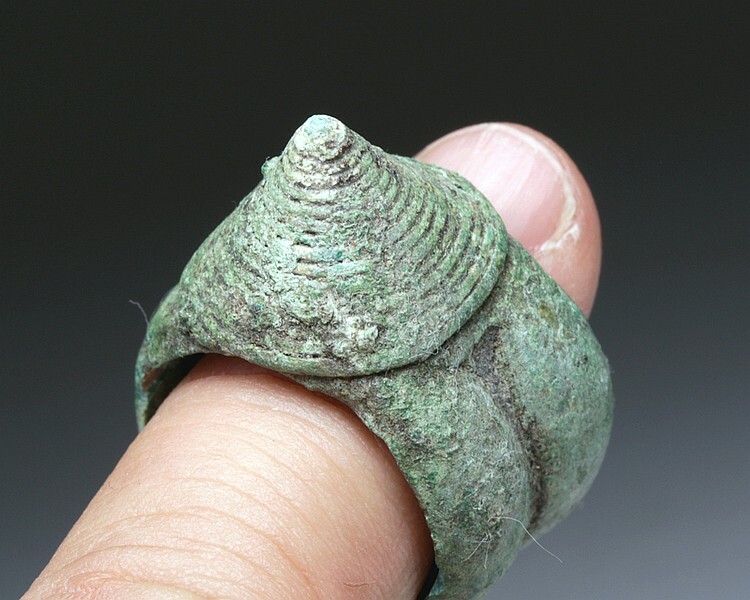 Nice green patina. Overall good condition. Provenance: Ex-private Pickard Collection, Oklahoma City, OK, Mr. Pickard began his collection in 1959 following university studies. Many pieces in his collection. 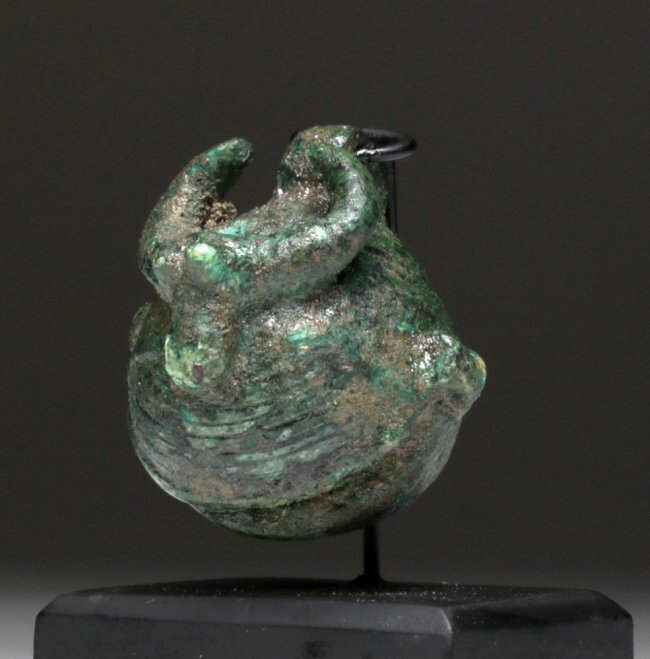 Walter Seifried of I-Bead Antique and Ancient Art, Cincinnati and Santa Fe. 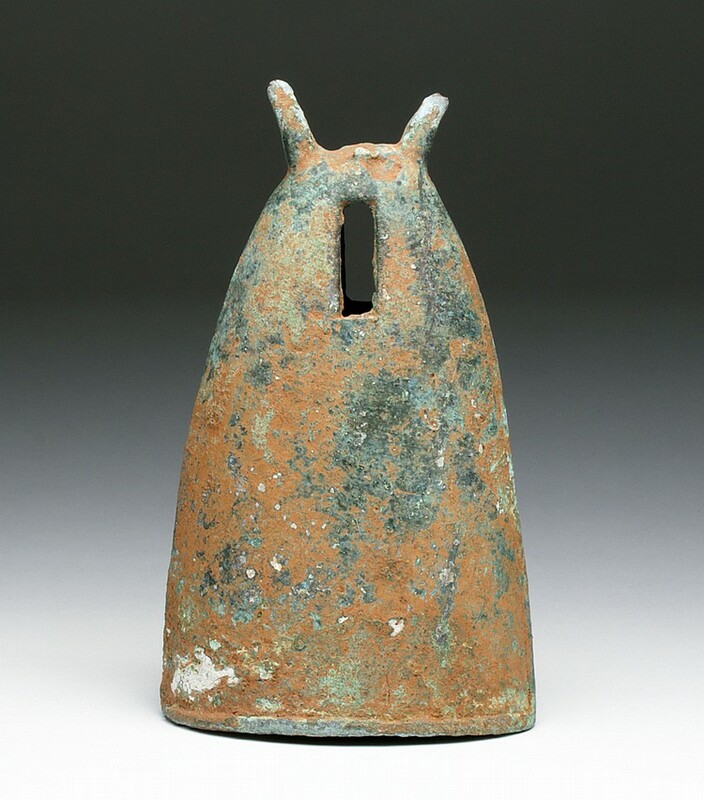 Rare Bronze Bell, Vietnam, Dong Son culture, ca. 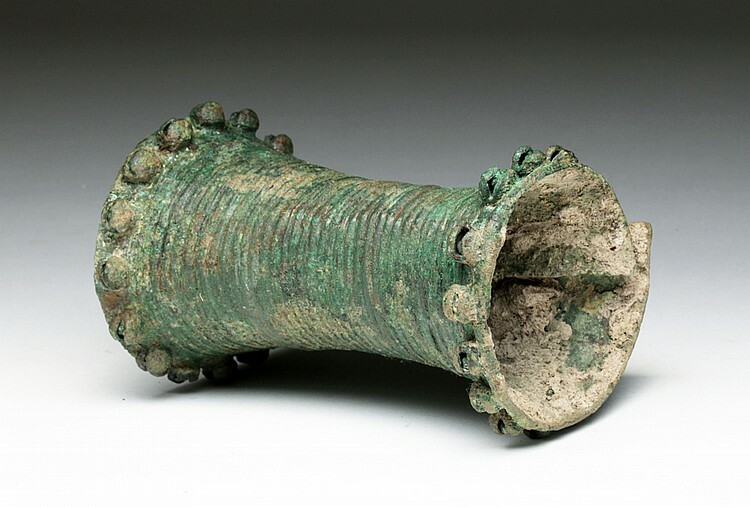 1st millennium BCE. Estimated Price: $300 – $500. Photo Artemis Gallery. 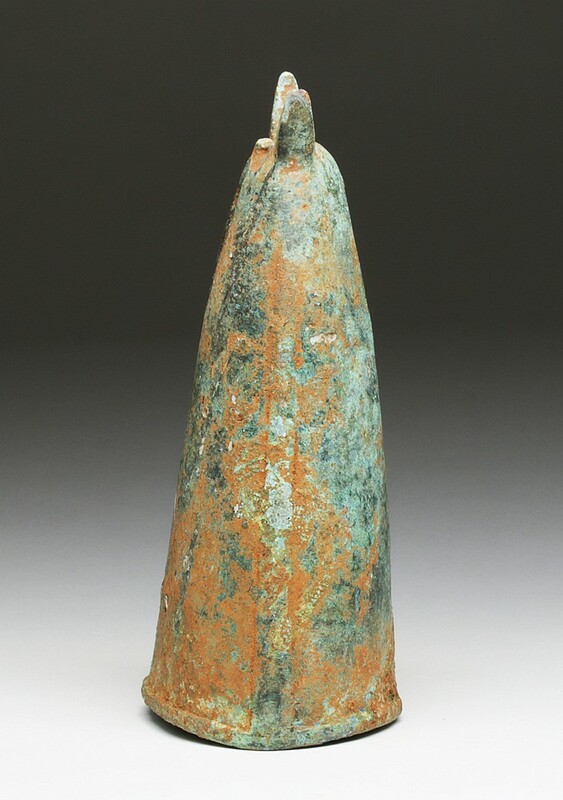 Medium-sized cast bronze bell. Flaring sides with rectangular cutouts, small slanted flanges to top. Clapper now missing. 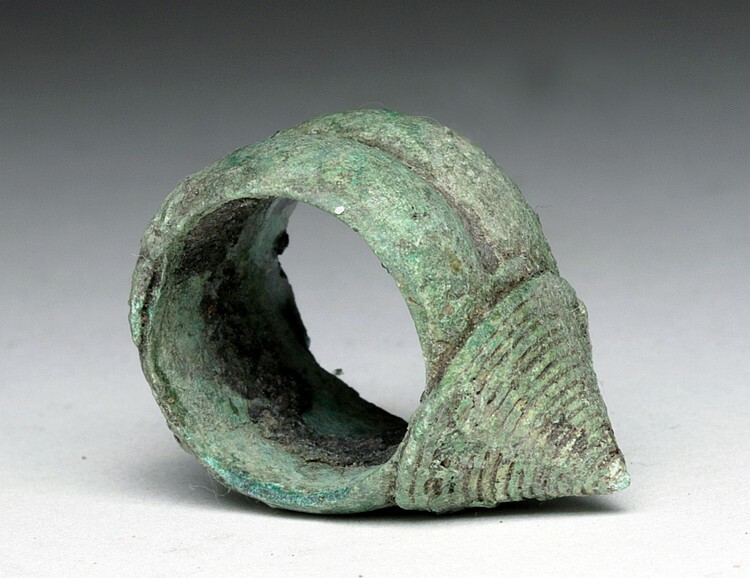 Size: 6-3/4″ H x 3-7/8″ W.
Provenance: Ex-D. Smith Collection, CA, acquired prior to 1985. 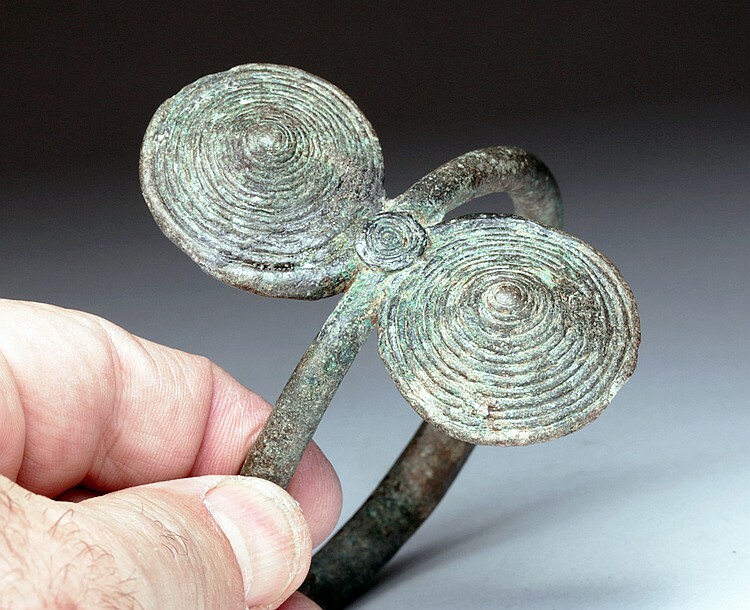 Bronze Double Spiral Bracelet, Vietnam, Dong Son culture, ca. 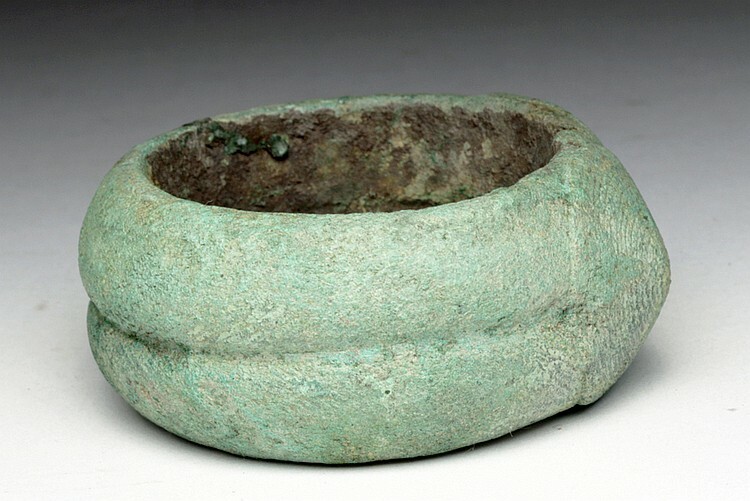 2500 BCE. Estimated Price: $300 – $500. Photo Artemis Gallery. 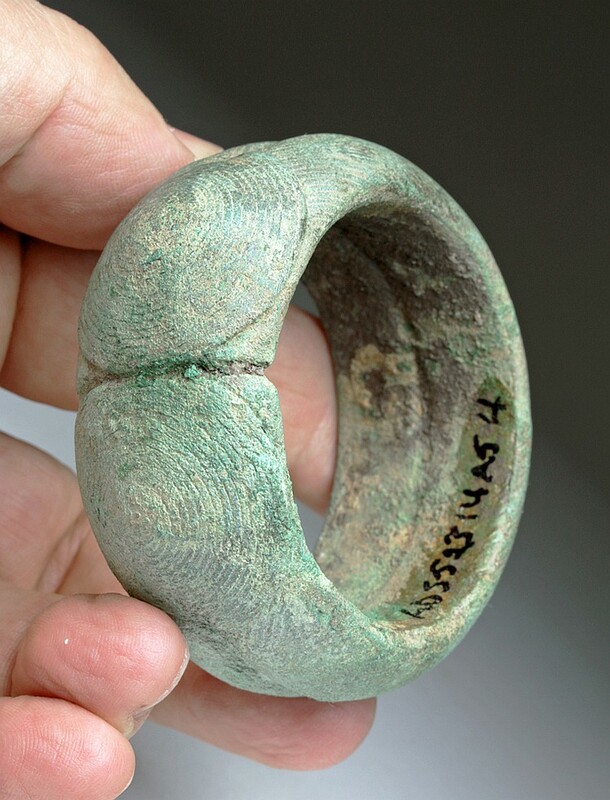 Attractive Bronze Ring, Vietnam, Dong Son culture, ca. 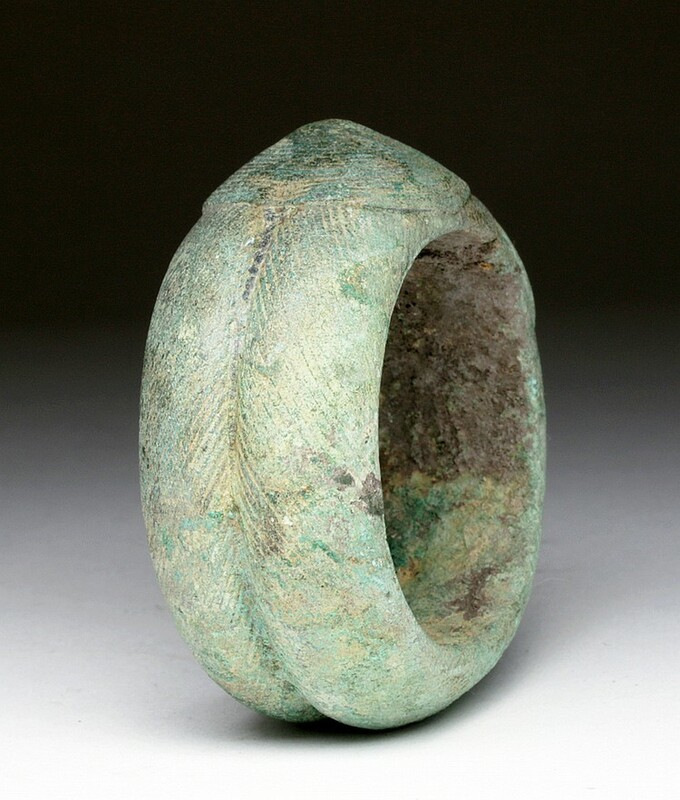 2500 BCE. Estimated Price: $200 – $300. Photo Artemis Gallery. 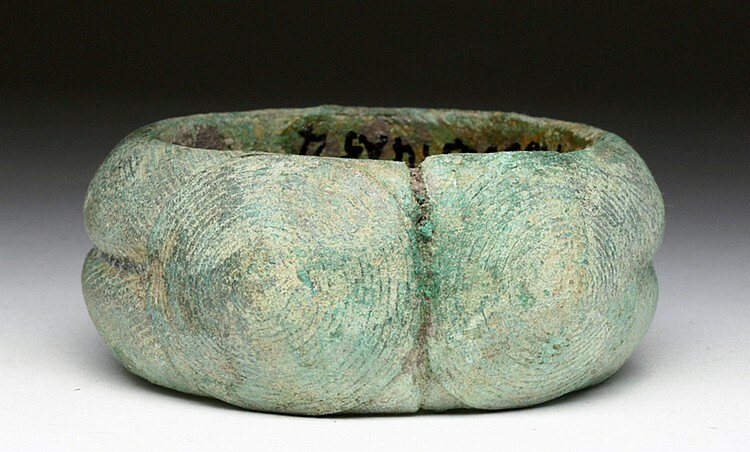 Heavy Bronze Bracelet, Vietnam, Dong Son culture, ca. 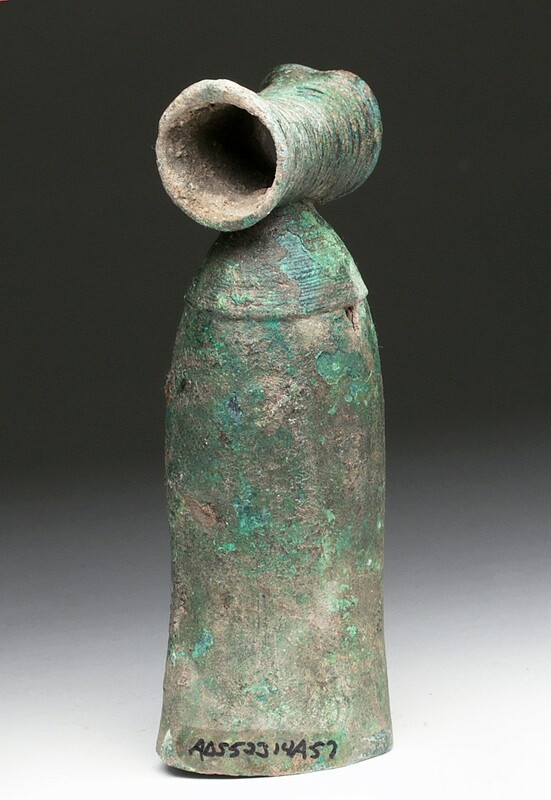 2500 BCE. Estimated Price: $200 – $400. Photo Artemis Gallery. 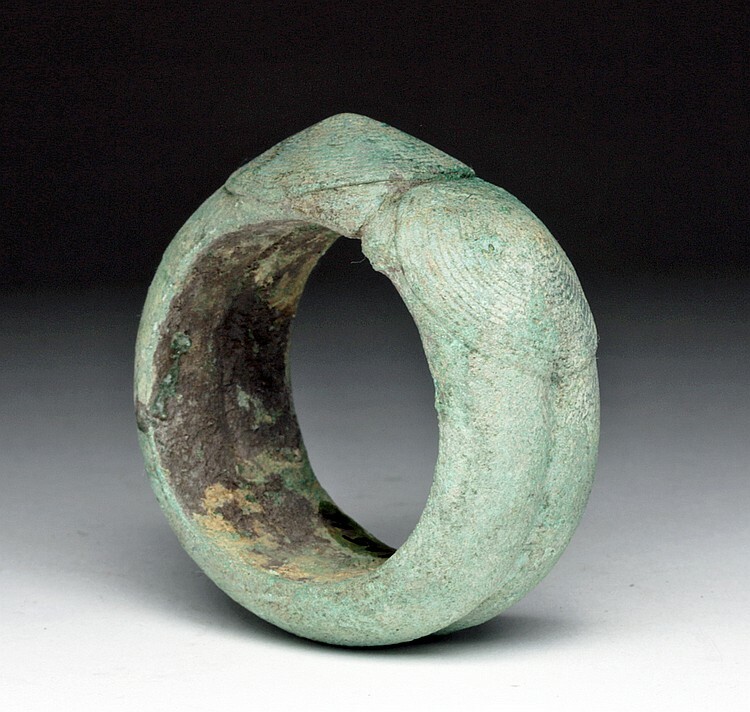 Rare and quite heavy solid cast bracelet. Made in two hemispheres, each convex and with delicately incised decorations. Twin raised bosses converge at midsection seem. 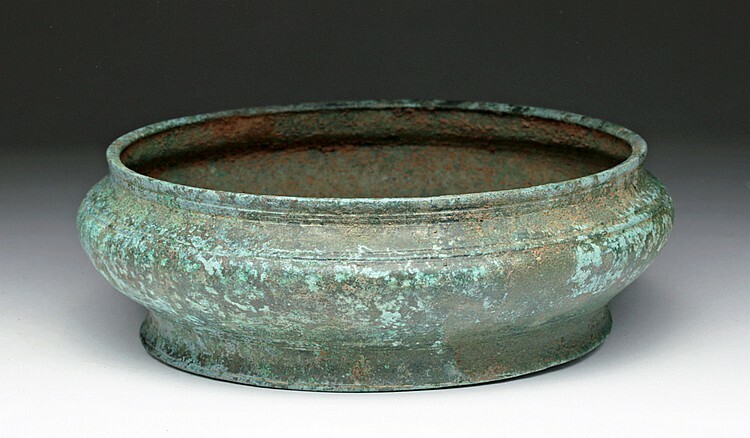 Size: 2-3/4″ L x 2-1/2″ H.
Bronze Bowl, Vietnam, Dong Son culture, ca. 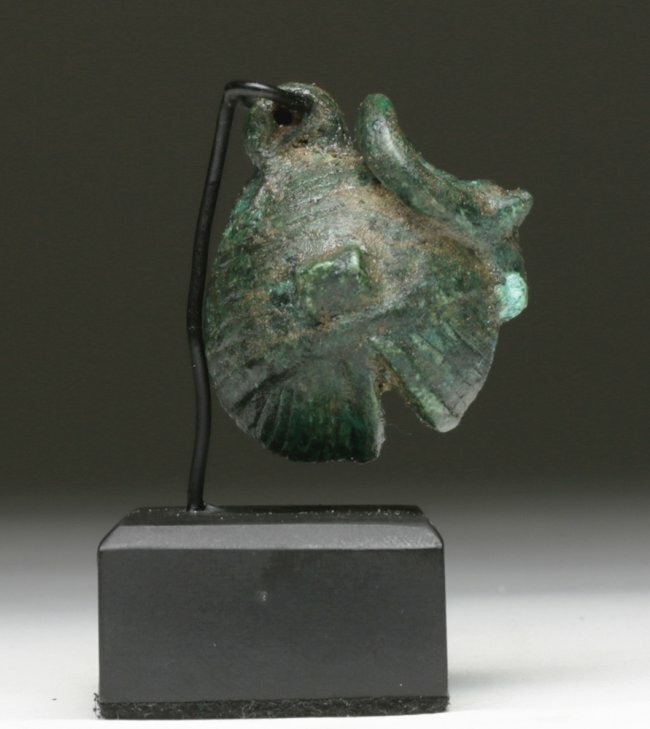 2500 BCE. Estimated Price: $400 – $600. Photo Artemis Gallery. 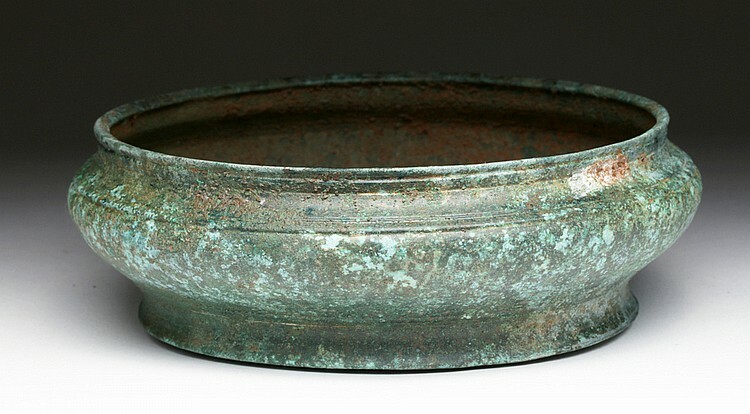 Attractive bronze bowl, turned on a lathe, with slightly out-turned foot, wide mid-section and nearly straight rim, and raised ridge on shoulder. 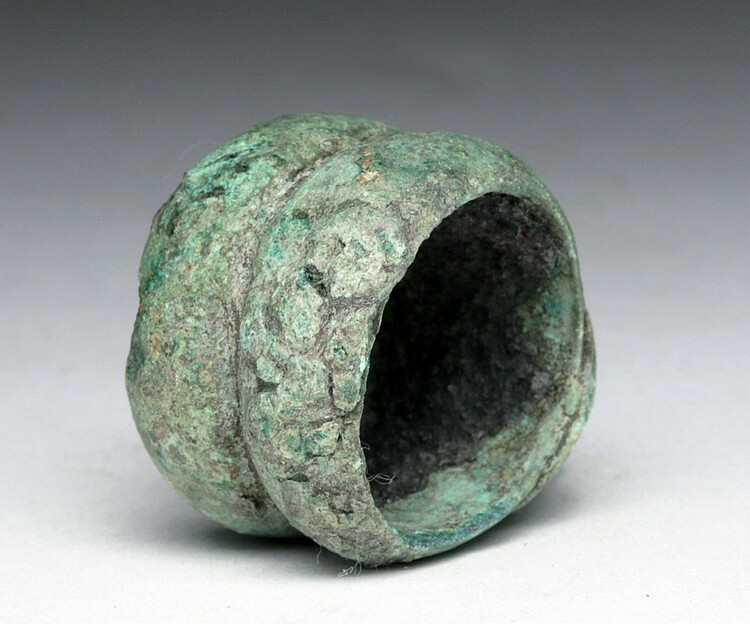 Size: 6-3/4″ D x 2-1/2″ H.
Bronze Bracelet with Bells, Vietnam, Dong Son culture, ca. 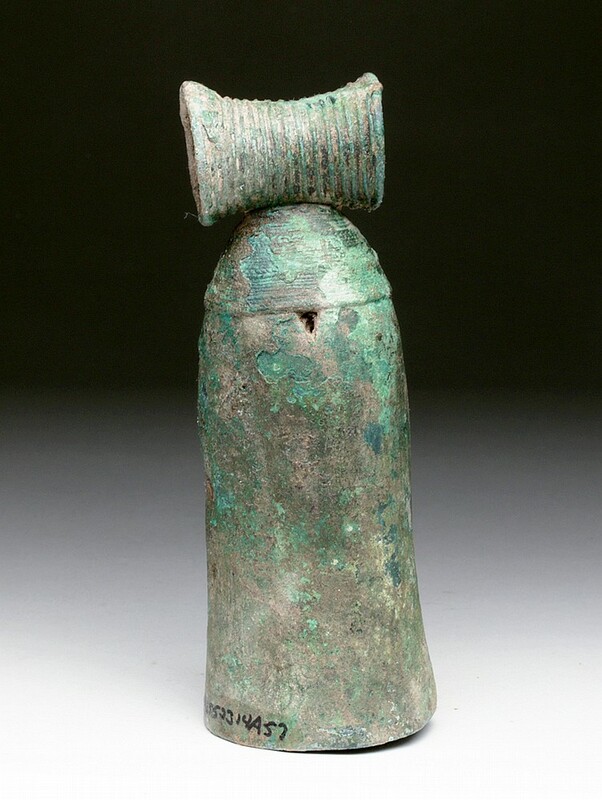 2500 BCE. Estimated Price: $400 – $600. Photo Artemis Gallery. 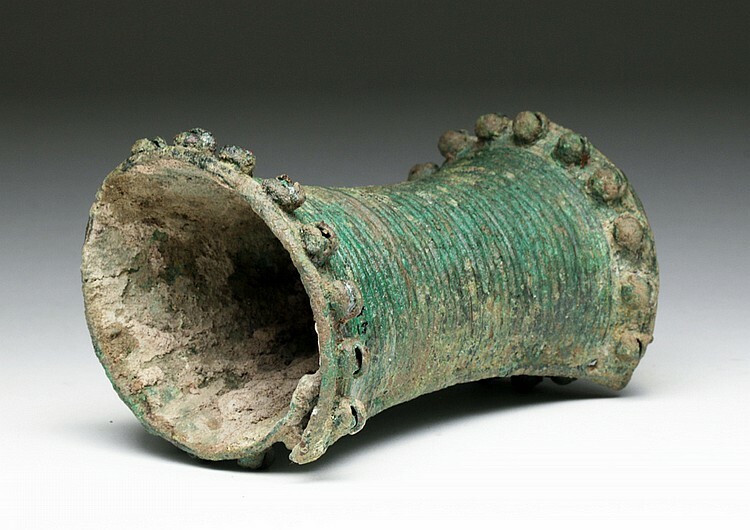 Rare ceremonial cuff. 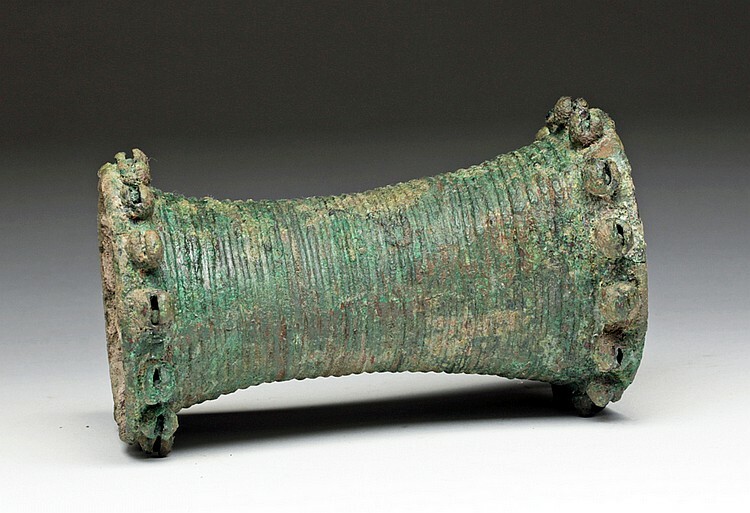 Solid bronze sheet in repeating « coil » pattern with each end adorned with 15 small bells – some still with bronze balls loose enough to make a rattling sound. 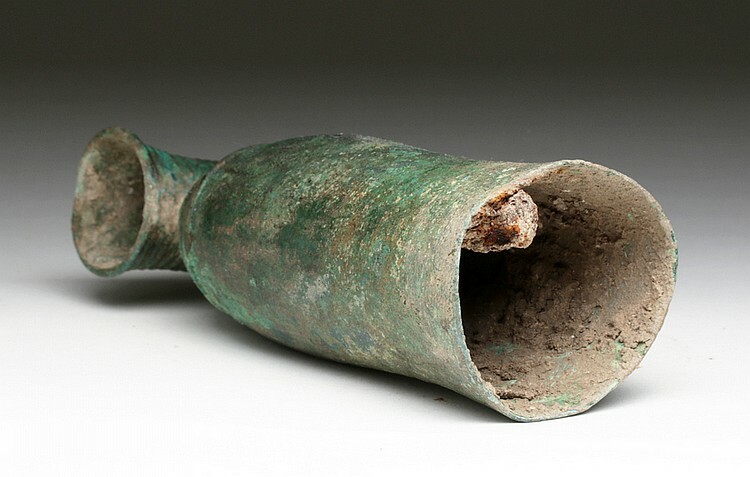 Size: 4-1/2″ L x 3-1/2″ W. Slightly crushed, else excellent with bells still rattling. 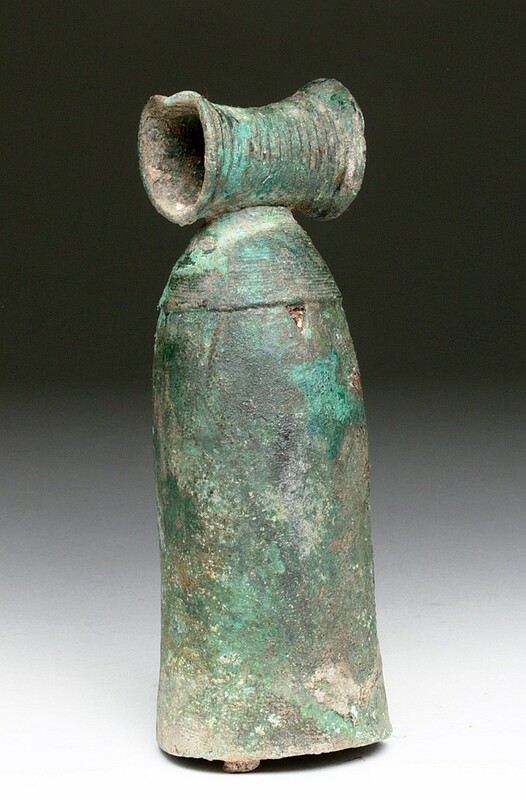 Fine bronze bell of elongated form, tapered crown with incised « coils », upper shoulder with repeating incised rings, clapper rusted to side of interior. Size: 6″ H x 2″ W. Dented, clapper rusted in place else excellent.